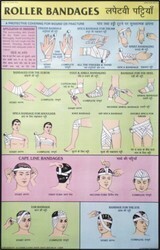 Providing you the best range of transport of the injured for first aid chart, electric shock treatment for first aid chart, skeleton & circulatory system for first aid chart, triangular bandages for first aid chart, roller bandages for first aid chart and fractures for first aid chart with effective & timely delivery. 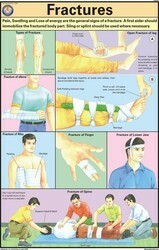 · A protective covering for wound or fracture, methods of bandaging. 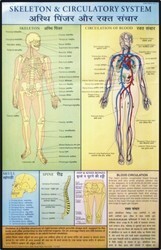 · Outline of Respiratory system and what is suffocation. 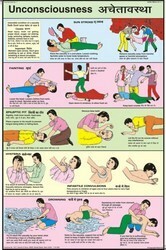 · Sun Stroke, fainting, epileptic fit, infantile convulsions, drowning. 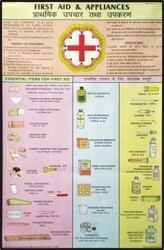 · Available in English only also. 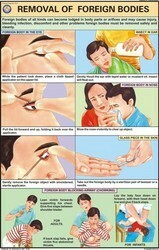 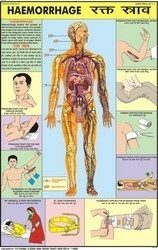 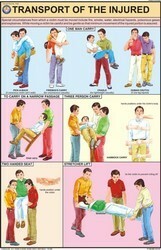 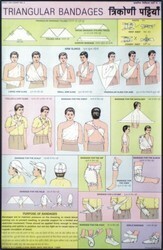 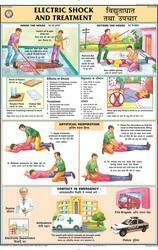 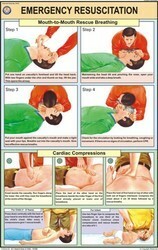 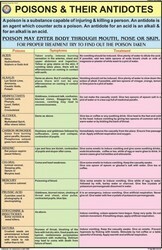 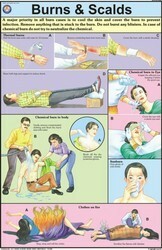 Looking for First Aid Charts ?